…well, I can think of a number of enticing combinations that I won’t tempt you by naming. So let’s just say the two seem to be made for one another. And with good reason: the colder, darker days set up the psychological desire for comfort. Add the double-whammy of those of us in colder climates being biologically programmed to eat more to literally have some added protection from the frigid temperatures and you have a recipe for fantasizing about breads, rice, biscuits, and pastas of every stripe. And that’s exactly why I decided it was crucial for me to have a cache of healthy carb options stashed for the coming months. Complete elimination always backfires on me. And despite what some nutritional and weightloss schools of thought may have to say on the matter of carbs, I’ve found it best to have them in moderation…and make ’em healthy. Don’t eliminate, UPGRADE. White Quinoa is a beautiful and delicious thing…. 1. Baked organic apples with cinnamon or nutmeg – Apples are healthy for you! They are high-fiber, anti-inflammatory, and offer phytonutrients in the apple pulp and skin. Research links consumption of apples with reduced risk of certain cancers, obesity, cardiovascular disease, asthma, Alzheimer’s disease and even diabetes. 2. Sliced sweet or purple potatoes or carrots – bake them on cookie sheet with a bit of light olive oil or grapeseed oil until slightly crisp. Sweet potatoes are excellent source of vitamin A, beta-carotene, vitamin C, manganese, copper, pantothenic acid and vitamin B6. They also contain potassium, dietary fiber, niacin, vitamin B1, vitamin B2 and phosphorus – pretty amazing! 3. Butternut squash soup – Scrape the baked squash into a blender or food processor, and toss in some cauliflower of peas or spinach…it’s creamy and dreamy all in one. Butternut squash contains fiber, making it an exceptionally heart-friendly choice and anti-inflammatory . It provides significant amounts of potassium, and vitamin B6, which is essential for the proper functioning of both the nervous and immune systems. 4. Baked zucchini slices with Organics minced onion on them to ‘bread’ them – The minced onion makes a crunchy coating when baked, so it’s a treat that tastes great and is nutritious at the same time. Zucchini is also anti-inflammatory, high in Vitamin C, Potassium, antioxidants, B Vitamins and helps digestion, heart health, maintains eye health and helps control diabetes. Did you know that 1 tablespoon of onion powder contains about 1 gram of dietary fiber and offers manganese, calcium and Vitamin C? 5. I love a medley of organic brown rice, carrots, broccoli florets and cauliflower sautéed in Braggs Coconut amnios (this tastes like soy sauce without the wheat or soy). Organic brown rice is anti-inflammatory, high in magnesium, and anti-inflammatory. Aside from being soy free and gluten free, coconut aminos is low glycemic index and packed with minerals, vitamin C, and B Vitamins. It’s high in amino acid, containing 17 different types. Thank you Nancy, and I couldn’t agree MORE about quinoa in particular! Which brings me to one of my favorite recipes for it…hot cereal. To the naked eye, the top photo is an ordinary pot of white quinoa. Don’t be fooled. It’s much more than that. 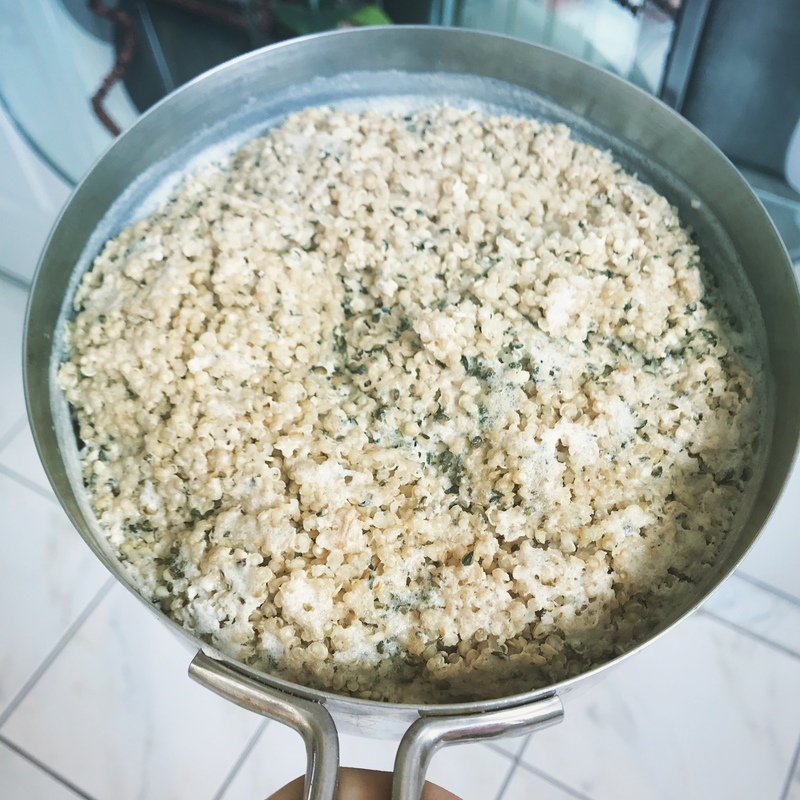 This pot of magic, ancient grain is soon to be alchemized into clean food favorites such as cream of quinoa hot cereal, quinoa pancakes, and quinoa tabouli. All are are heart healthy, Paleo, and delicious. And they don’t wreak havoc on my blood sugar and set off the domino-effect of inflammation, weight-gain (usually) and bloating (always) that ensues when I eat white carbs, even the gluten-free variety. 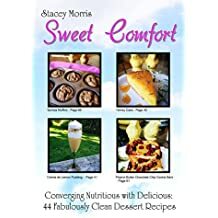 Check out Clean Comfort for Chocolate Quinoa Cake and Quinoa Tabouli recipes; and A Bowl of Comfort for my Quinoa Matzo Ball Soup recipe. Not your Bubbe’s matzo ball…but give it a whirl! Place all ingredients in a Vitamix or food processor and blitz until smooth. If cereal is too thick for your liking, add more milk. Serve immediately. Sooo good for you in the morning…or whenever the urge to be comforted by carbs strikes. So You Think Lasting Weight-Loss Is All About Food?